Golden amber color. Bright, toasty, sweet aromas and flavors of caramelized nuts, pencil shavings, dried fruit compote, and spicy custard with a supple, soft, dryish medium body and a smooth, fast finish that presents notes of spiced cherries and papayas, roasted nuts, and rubber leaf finish. A very mellow, nutty, oak accented gold rum with a pleasing spiciness. 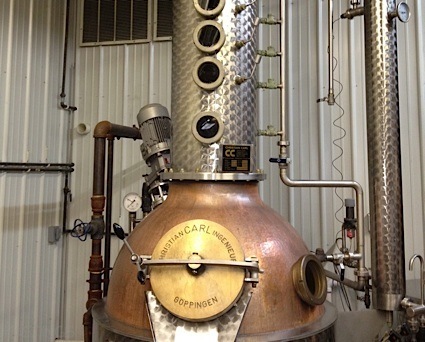 Bottom Line: A very mellow, nutty, oak accented gold rum with a pleasing spiciness. 88 • Club Caribe Gold Rum 40% (Puerto Rico) $11.99. 88 • Club Caribe Silver Rum 40% (Puerto Rico) $11.99. 84 • Club Caribe Lemon Rum 27.5% (Puerto Rico) $11.99. 83 • Club Caribe Mango Rum 27.5% (USA) $11.99. 88 • Club Caribe Banana Rum 27.5% (USA) $11.99. 85 • Club Caribe Pineapple Rum 27.5% (USA) $11.99. 84 • Club Caribe Raspberry Rum 27.5% (USA) $11.99. 90 • Colville 5 YO Kentucky Straight Bourbon Whiskey 43% (USA) $19.99. 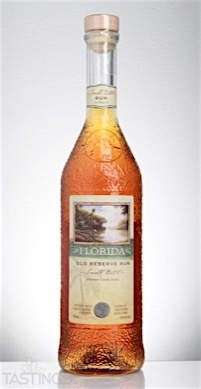 89 • Florida Old Reserve 5 Year Old Rum 43% (USA) $19.99. 88 • Florida Old Reserve Small Batch Sherry Cask Aged 2 Year Old Rum 42% (USA) $19.99. 87 • Florida Old Reserve Orange Liqueur 40% (USA) $19.99. 84 • Mad Hen Fiery Cinnamon Flavored Whiskey 21% (USA) $10.99. 85 • Speckled Tail American Whiskey 40% (USA) $16.99. Florida Old Reserve Small Batch Sherry Cask Aged 2 Year Old Rum rating was calculated by tastings.com to be 88 points out of 100 on 4/11/2016. Please note that MSRP may have changed since the date of our review.